How do I add a requirement to a catalog program? To create a program as a Catalog admin, you must add requirements, which are the courses that students are required to finish to complete the program. Requirements can also include other programs added as subprograms. Learn how to manage program requirements. When adding requirements, courses and programs are set to be completed in the order they are added. However, you do have the option to allow students to complete the requirements in any order. In the search field, search for the name of a Canvas course or program. To add a course or program, click the course or program name , then click the Add Requirement button . 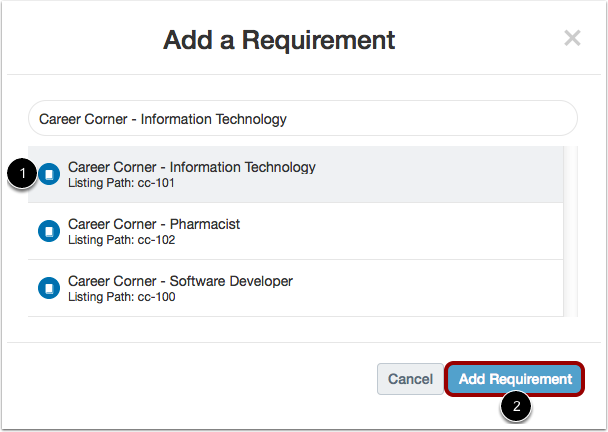 To add additional requirements, click the Add Requirement button again. Previous Topic:How do I manage catalog program requirements? Next Topic:How do catalog requirements appear in program listings? 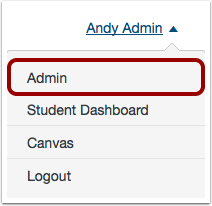 Table of Contents > Admins - Catalog > How do I add a requirement to a catalog program?